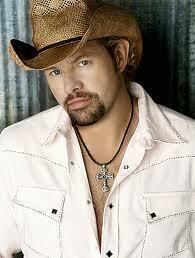 Our CMA Flashback series continues with the Male Vocalist of the Year category. For a look back at the other major categories, visit our CMA Awards page. Aside from first time nominee Luke Combs, this is a familiar list. Chris Stapleton looks to become only the fourth male artist to win this award four times, which would move him right behind five time winners Vince Gill, Blake Shelton, and George Strait in overall wins. Dierks Bentley, meanwhile, has moved into second place among artists with the most nominations without a win, tying Willie Nelson with seven and trailing only nine-time never winner Kenny Chesney. Thomas Rhett is nominated for the second time, while Keith Urban enjoys his fourteenth shot at the trophy. Chris Stapleton became the seventh artist in CMA history to win at least three Male Vocalist trophies, a distinction also held by fellow nominee Keith Urban. Chris Stapleton repeated in this category, along with winning Music Video of the Year. On a night where the CMA spread the wealth, his two victories made him the biggest winner of the evening. First time was a charm for Chris Stapleton, who ended Blake Shelton’s historic run in this category while also defeating three veterans of this race who were hoping for their first win. Blake Shelton became the third man in history to win this category five times, and only the second – after Vince Gill – to win it five years in a row. Shelton won his fourth victory in a row this year, again defeating three nominees who still hadn’t won the award. Shelton’s third consecutive victory continued the recent trend of this category, as he was the third artist in a row to win the award for three years running. Shelton won again, while Kenny Chesney extended his record of the most nominations for Male Vocalist without a win, losing for the ninth time. Blake Shelton triumphed over three veteran winners of this category, including George Strait, who received his 25th (and apparently final) nomination this year. Just like in the Entertainer category, 80% of this race for the past three years had been Kenny Chesney, Brad Paisley, George Strait, and Keith Urban. This year, Darius Rucker took the fifth slot that was occupied by Alan Jackson in 2008 and Josh Turner in 2007. Brad Paisley went on to win his third Male Vocalist prize. After so many years on the sidelines, Paisley began to dominate the category, scoring his second consecutive Male Vocalist award. Meanwhile, Kenny Chesney tied Willie Nelson for most nominations without a win, though his seventh loss was accompanied by his fourth win for Entertainer. This was the year that Brad Paisley finally won, with his seventh nomination in eight years. The stars aligned for him, with a very successful tour, a new album that is selling strongly, and a continued hot streak at radio. Urban became the first artist to win Male Vocalist three years in a row since George Strait did it in 1996-1998, right after Vince Gill’s 1991-1995 run. His acceptance letter, read by Ronnie Dunn, was the emotional highlight of the evening’s show. No surprises here, as another multi-platinum year full of radio hits and a high-profile appearance at Live 8 kept Urban fresh on voter’s minds. The big shock was him walking away with Entertainer of the Year later that night. Urban hadn’t even been nominated for any CMA Awards in 2002 and 2003, after winning Horizon in 2001, but he came back with a bang, taking home Male Vocalist of the Year over the four other superstars in the category. He joined Chesney as the only other man in the running who had never won before; Chesney got the wonderful consolation prizes of Entertainer and Album of the Year the same night. Things were getting tight in this category in 2003, with so many worthy contenders that ties resulted in six nominees, instead of the usual five. Still, voters chose to stick with last year’s winner, Alan Jackson, a sure indicator of his enduring popularity among CMA voters. The other four men were merely placeholders, there to create a list around the obvious winner, Alan Jackson. As he swept the awards on the strength of his post-9/11 “Where Were You” and autobiographical “Drive”, the only real shock was that he was winning Male Vocalist for the first time, a result of the slow turnover in this category during the 1990s. Toby Keith has been a vocal critic of the CMA because he feels they’ve overlooked him, but he’s been up against some tough competition, with his popularity peaking at the same time that Alan Jackson, Kenny Chesney and Keith Urban were making a huge impact on the charts and at the CMAs. Thankfully, he’s at least won in this category, so he won’t go down in history with Willie Nelson and Conway Twitty as one of the best male singers to never win it. On the same evening that his wife, Faith Hill, was crowned Female Vocalist, McGraw walked away with his second consecutive Male Vocalist award. Early on in his career, when McGraw was selling tons of records but being excluded from this category, he humbly said that he didn’t think he was a good enough singer to be nominated. His talents grew over the years, and he finally won in 1999. Strait matched Vince Gill’s record of five wins in this category, defeating Gill and three other nominees who had yet to win in the category. With no turnover in the category from the previous year, Strait won for the fourth time, again defeating his fellow mega-winner Gill, and three other stars who had never won before. Jackson was already long overdue, and Collin Raye and Bryan White broke into the category for the first time. Nobody expected Gill to win for the sixth year in a row, but many were surprised to see former two-time winner George Strait collect a Male Vocalist award for the first time in ten years. Even Gill was expecting to lose, so when his name was called out for the fifth year in a row, he was gamely applauding backstage for the winner, before suddenly realizing it was him and rushing out to the stage. Vince won for the fourth year in a row, even though fellow nominees John Anderson, Alan Jackson and Dwight Yoakam were seen as likely spoilers. Vince not only won his third Male Vocalist award this year, he also took home four other awards: Entertainer, Album, Song and Vocal Event. A bunch of hot young stars dominated the ballot this year, with Gill emerging triumphant for the second time. Though they would continue to score hits for many years, Joe Diffie and Travis Tritt received their only nominations to date in this category. After Garth swept the ACM’s earlier that year, he was expected to do the same at the CMA’s, and he came close, winning Entertainer, Single and Album. But industry favorite Vince Gill took home Male Vocalist, an award that Garth Brooks would never receive, though he would win Entertainer a record four times. For the second year in a row, the previous year’s Horizon winner took home Male Vocalist. Clint Black won easily over very distinguished competition. After winning Horizon in 1988, platinum-selling Ricky Van Shelton graduated into a Male Vocalist winner only one year later. Keith Whitley received a posthumous nomination; he won Single of the Year that same evening. It’s hard not to wince at the knowledge that the peerless Vern Gosdin only received one nomination in this category, but there was no stopping Travis from collecting his second win. In a lineup that was a traditionalist’s dream, new star Randy Travis took home the trophy. At the time, he was breaking sales records, enjoying a quadruple-platinum studio album in Always & Forever. Strait won his second consecutive Male Vocalist award on the strength of another huge year at radio and retail. George Strait won the first of a record-matching five Male Vocalist awards, also taking home Album of the Year that same evening. Greenwood’s Vegas vocals dominated at radio and retail this year, earning him the award for the second time. Greenwood’s win was consistent with the pop-dominated flavor of the time. Janie Fricke won that night for Female Vocalist, and it was the final year that both races would be won by pre-New Traditionalist artists. Pulling off the astonishing feat of winning both Male Vocalist and Horizon award, Emmylou Harris’ former bandmate was hugely rewarded for bringing bluegrass to the masses. It’s taken for granted that Jones is one of the greatest vocalists to ever grace country music; few would dare to argue otherwise. No surprise, then, that he won this award for the second year in a row. It’s hard to believe that the legendary showman never won Entertainer of the Year, but he did take home a much-deserved Male Vocalist award, at least. Unfortunately, fellow nominee John Conlee would never be recognized at all, losing his first of two shots at this award. One of the most underrated artists in country music history got a well-deserved pat on the back, winning over four larger personalities in 1978. Milsap set a record when he won for the third time in this category, which would stand until 1994, when Vince Gill won his fourth trophy. After losing to Jennings the previous year, Milsap returned to collect his second Male Vocalist trophy in 1976. Conway Twitty lost again in his final appearance in the category. There was no love lost between Waylon Jennings and the CMA – he loathed the organization so much, he didn’t even show up at his Hall of Fame induction. This was the first of several CMA wins for Jennings, though the only one in this category that he would receive. Blind singer-songwriter and pianist Ronnie Milsap won for the first time; with Olivia Newton-John winning Female Vocalist the same night, pop was the flavor of the evening. The Silver Fox won on the strength of a great year at radio. He’s still considered one of the era’s finest and most underappreciated vocalists. Charley Pride became the first artist to repeat in the category, winning for the second year in a row. The CMA had a wealth of great male vocalists to choose from in the early years of the awards, and they finally got around to acknowledging Pride, who had been nominated four times already. Merle Haggard dominated the show in 1970, winning Entertainer, Male Vocalist, Single and Album of the Year. Cash was a huge winner in 1969, taking home five awards: Entertainer, Male Vocalist, Single, Album and Vocal Group (with wife June Carter Cash). He wouldn’t win again until after his death in 2003, when he took home another three awards. Crossover star Glen Campbell won in a year that is so impressive, all five nominees are now in the Hall of Fame. He also took home Male Vocalist the same evening. Few casual country fans would recognize him today, but Jack Greene will forever go down in history as the first Male Vocalist winner at the CMAs. He won on the strength of his signature hit “There Goes My Everything,” which also won Single of the Year and was the title track of his Album of the Year winner that same night. (4) – Hank Williams, Jr. I just changed the “shabby” line. Thanks for flagging it. I’ve been removing the editorializing from these Flashback Posts as I’ve been revising them this year, and I missed that one. Love that Don Williams, Kenny Rogers, and Ricky Scaggs all won in this category. So glad that Clint Black also won before Vince Gill began dominating in this category. For as much as I like Chris Stapleton, I really hope Eric Church gets Male Vocalist somehow. I always thought it was pretty neat how George Strait made a big comeback in this category from 1996-1998. Especially, since it was a pretty solid group of artists to choose from during those years, and Strait had already been around for nearly two decades. I really miss seeing his name in the nominations and getting to see him perform at the show. I also thought it was surprising that Alan never won this award in the 90’s, and had to wait until the next decade to get it. What’s also interesting is that Steve Wariner was a solid hit maker throughout the 80’s and early 90’s, but never got a nomination until 1999. He really did make quite an impressive comeback in the late 90’s.